We are also aware that there are travel limitations for those from California who will not be able to attend the conference due to the state funding ban – therefore, we’re excited to share that we are also trying a new thing. 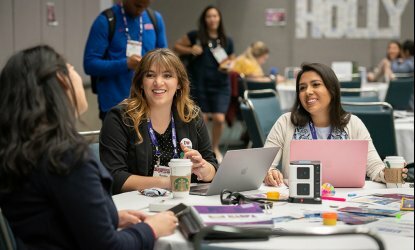 We are going to have a “Connected Conference” in California to leverage our NASPA Virtual Ticket and do an in-person event at the same time that will allow for the opportunity for our California colleagues to both present in-person and engage with presenters who are sharing information from Austin! We are working with a subcommittee, led by of the 2020 Conference Leadership Committee to develop this event. More details will be shared soon. The CLC members are truly excited to create community both in Austin and in California for the 2020 NASPA Annual Conference. The third day of the 2019 NASPA Annual Conference was packed with programming. Following an invigorating start, #NASPA19 learning was abounding on our first full day of educational sessions! 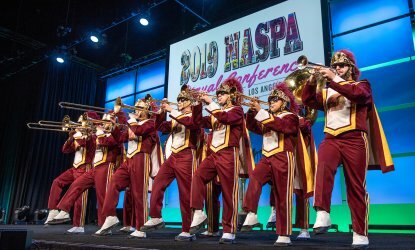 Yesterday’s opening session officially launched the 2019 NASPA Annual Conference—but was certainly not the start of the #NASPA19 action. What part can online education play in either supplementing or (gasp) replacing attendance at our premiere professional development event? 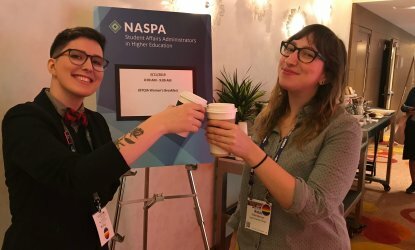 Timeline Photos SA Weekly – your destination for higher ed news, NASPA research, constituent blogs, and the new home of the NASPA policy update. 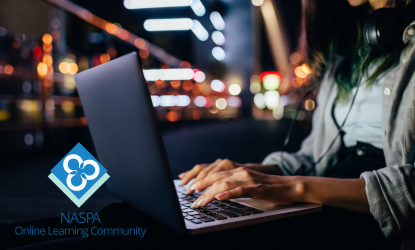 SA Weekly – your destination for higher ed news, NASPA research, constituent blogs, and the new home of the NASPA policy update.